You’ve probably already watched this, or at least heard of it. 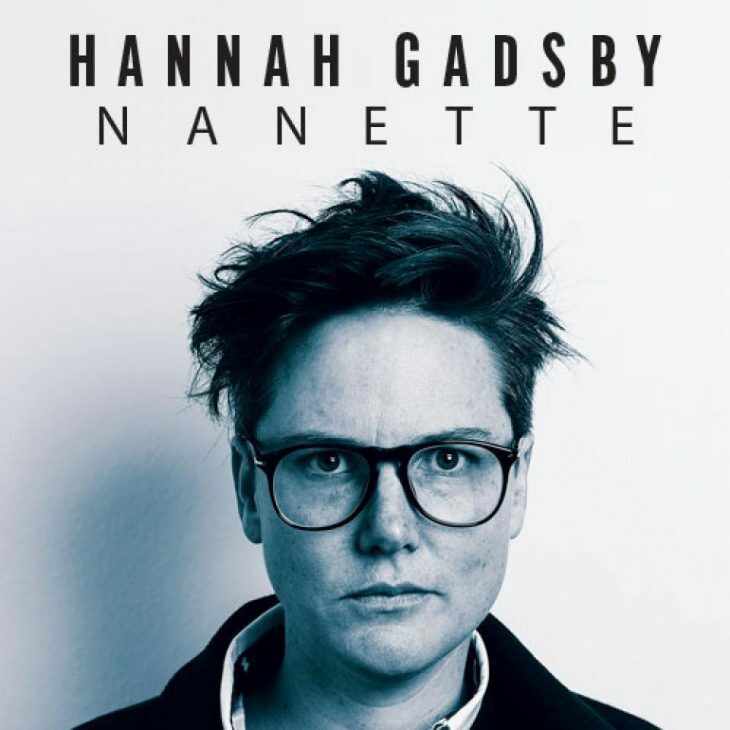 Hannah Gadsby never saw this coming when she performed her stand-up special ‘Nanette’ on tour. However, Netflix soon picked it up and had her performance at the Sydney Opera House filmed so that we could also have the pleasure of watching this transformative piece of art. The shows starts off with Gadsby’s classic style of humour. She eases the audience in by talking about the title of her special. Within 2 minutes, she has them with her; the room is in splits. The authenticity of her comedy is one of the many reasons why I respect Gadsby. She uses comedy to highlight the ridiculousness in the gendered and homophobic world around us. She doesn’t shy away from talking about her hometown, the absurdity of pink headbands on bald babies in order to gender them (“Would you put a bangle on a potato?”), and the assertiveness of the colours on the Pride flag. The 70-minute special is rife with jokes borrowed from her own experiences on being misgendered, getting attacked by a homophobic misogynistic man, mental illness, Van Gogh, among other things. While these may very specific, I can assure you that no other comic has been more relatable. Before you even get to the middle, Gadsby unexpectedly announces that she’s probably going to quit comedy. This is the beginning of why the show is radical. This is where she begins to break down the structure of comedy, and its inability to actually make things better. She explains to the audience how a comic creates a joke, how it is constructed; how there is a certain tension that is created and subsequently alleviated. This is arguably one of the most hard hitting lines on the show: “Do you understand what self-deprecation means when it comes from someone who already exists in the margins? It’s not humility. It’s humiliation. I put myself down in order to speak, in order to seek permission to speak, and I simply will not do that anymore.” Gadsby goes on to dig deeper into why she is done making comedy by putting herself down. She uses her (self-mocked) Art History degree to talk about how influential men often take advantage of their power and exploit others while walking away free of any consequence whatsoever. She brings in the story of a much-celebrated Picasso and how he sexually exploited a 17-year-old girl just because he could. She talks about how comics often make fun of Monica Lewinsky instead of talking about Bill Clinton. She makes you question “Who should the joke be on?” She brings up an important point about the inherent patriarchy and misogyny that we fall prey to; this is why there isn’t a woman in the White House, she says. As she goes on, she makes the audience uncomfortable, but in the best way possible. She creates tension, and tells the audience that she’s done giving them a release. “This tension, it’s yours. I’m not helping you anymore”, she says. This moment of truth is a means of catharsis for her. It’s hard not to be charmed by Gadsby’s delivery and her subtle awkwardness. Her performance is very real and touching. And she has your attention from the very moment she starts. Her dialect and body language have you laughing uproariously yet also take her seriously when things get real. It almost feels as though you’re listening to a good friend. 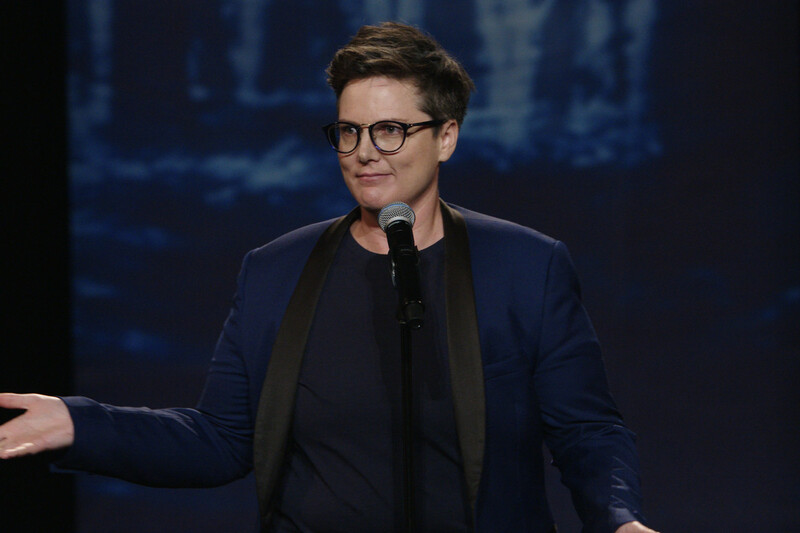 Hannah Gadsby is angry, and she owns it. Through ‘Nanette’ she puts her energy and power towards changing the face of comedy, and perhaps even the world too. “My story has value. I will not allow my story to be destroyed. What I would have done to have heard a story like mine… to have felt less alone. Laughter is not our medicine. Stories hold our cure.” ‘Nanette’ will be a thought-provoking, introspective 70 minutes of your life that you will not regret. It leaves you shaken but with hope. You can stream ‘Nanette’ on Netflix now. Previous post The Queer Questionnaire #11: What Does Non-Binary Mean? Next post We Are The Enbys!